Replenished. Rejuvenated. Reinvigorated. 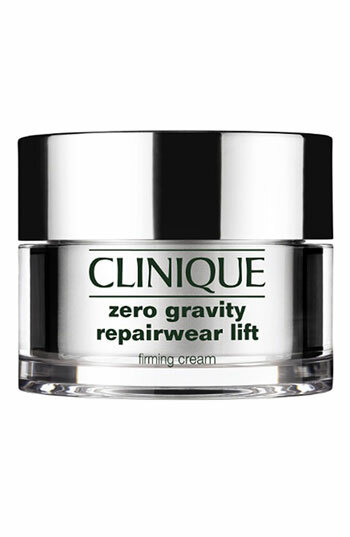 Yes, I'm talking about my skin -- and it's all thanks to Clinique's latest and greatest product, Zero Gravity Repairwear Lift. The silvery jar, while it may be tiny, packs quite a punch with everything from retinol and whey protein to tons of different vitamins. And what does this miracle product do, you might ask? Why, firm, tighten and produce visibly amazing results within just a few uses, that's what! It's no lie to tell you I started to see results immediately. My skin instantly looked younger, fresher and more hydrated, and this was upon only the first use! And it comes in three versions -- Combination Oily to Oily, Dry Combination and Very Dry to Dry (I tried the last), so no matter what your skin type, there's one made just for you. 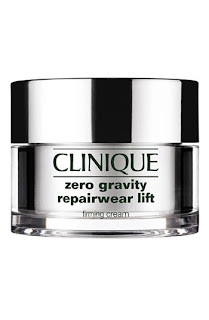 Can Clinique do any wrong? This beauty chick thinks not.